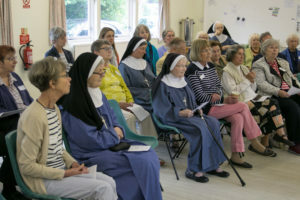 The Community of St Mary the Virgin has a number of groups of recognised supporters with who it works. Further information about the CSMV Oblates, Associates and Alongsiders are detailed in this section of the website. If you are a Christian woman or man wanting to express your faith in new and deeper ways, consider joining one of our close contact groups.